Lead is a metal that is found in the earth and for many years was used in things such as paint, gasoline, and many other items. It can still be found in certain items sold today. Lead is poisonous and can cause serious health issues if ingested or inhaled, especially in children and pregnant women. Lead poisoning is difficult to recognize and can easily go unnoticed until it is too late. 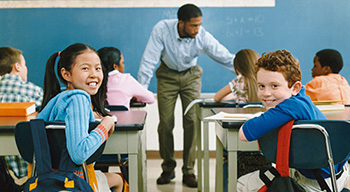 A child’s growth, behavior, and ability to learn can all be negatively affected by lead. 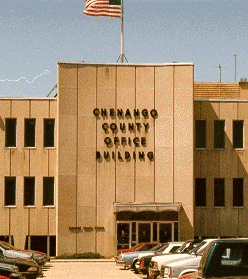 It is very important parents have their children tested for lead poisoning at 1 and 2 years of age. 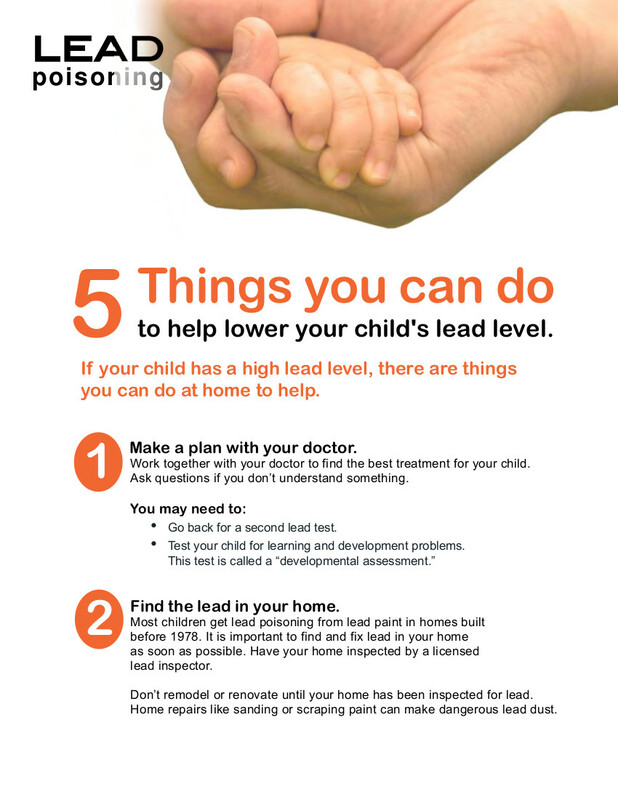 Please follow the links provided to learn more about lead and how it affects you and your family. 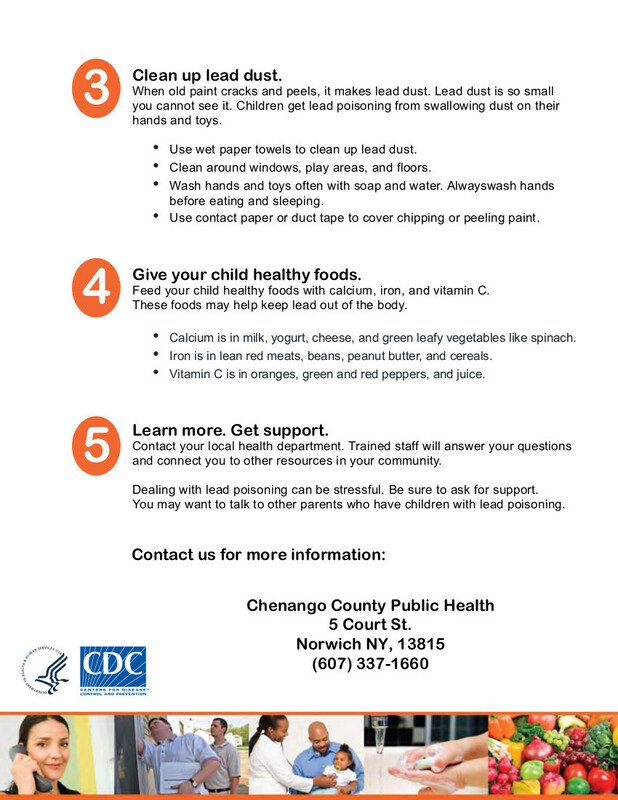 For more information on the prevention of lead poisoning please see the Centers for Disease Control and/or the New York State Department of Health websites. Lead can potentially cause miscarriage or developmental issues during a pregnancy. 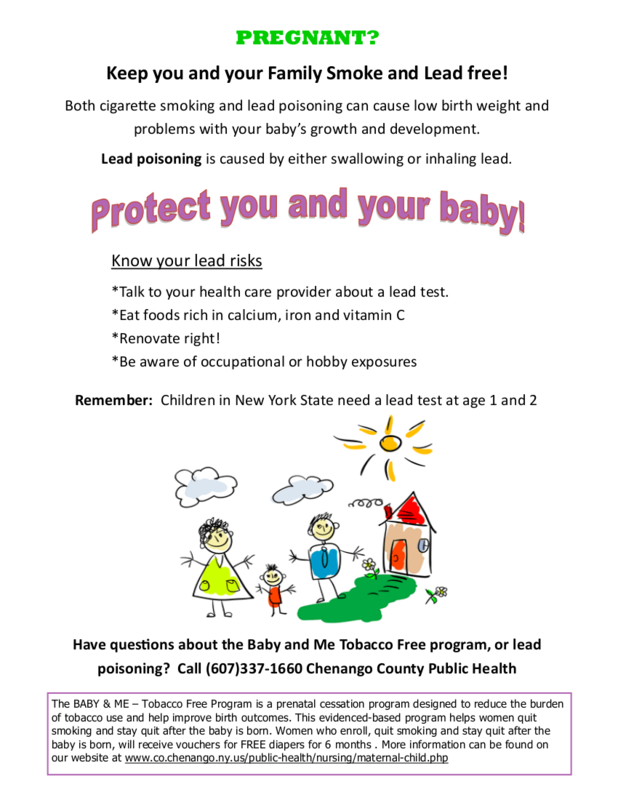 See the Centers for Disease Control page on Lead and Pregnancy to learn more about how lead could affect your pregnancy. A printable PDF version of this flyer can be found here.